Innohome Ltd. offers thermal imaging inspections for moisture testing which you can use as an addition to house inspections or moisture testing. Thermal Imaging IR Camera Test can measure and view temperature patterns based upon temperature differences as small as a few hundredths of a degree Celsius. 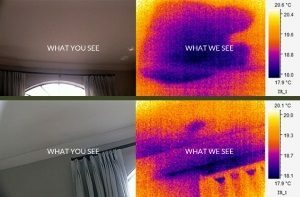 Thermal Imaging moisture testing may be performed during day or night, depending on environmental conditions and the desired results. We use the Trotec EC60V thermal image camera in non-invasive moisture testing. Although this is our most expensive tool, it requires the correct conditions to operate at its optimum and unobstructed clear views of wall surfaces. Combined with construction knowledge, (old and new) and a keen eye for risk areas, Innohome can locate areas of concern without any damage to the building. It is important that anyone using IR thermal equipment to have training in its use and understanding of its science. There are only a couple of internationally recognised training courses available in NZ. When I attended the Flir course, it was the only course in NZ. It ran twice a year with ten students each course. Only 10% of the students were from the building inspection profession. Most building inspectors do not have level one training and at the least may have done an online course. Qualified IR thermal imaging operators will have a license number and will present an ID card. Please check for this. Flir sets the world standard in manufacture, development and training with three levels of training available. 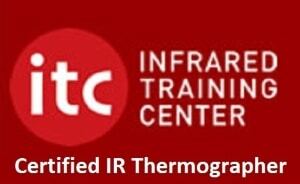 I have obtained the level one certification required for IR thermal equipment operation and understanding. Phone: 09-4241965 or 0273632300 or Book an Inspection! 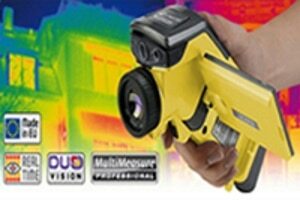 Thermal imaging moisture testing camera EC60V has a high thermal sensitivity and a high degree of accuracy. Its image sensor has a detector resolution of up to 160 x 120 measuring spots and a thermal sensitivity of 0.08 ºC which enable to create fully radiometric thermal images within a temperature range of between -20 °C and +250 °C. A high image repetition frequency guarantee continuous real-time thermal imaging. A variety of integrated measuring functions and the automatically measured value correction function ensure optimum results every single time.